Manager Russell Slade says Cardiff are "spinning one or two plates" in a bid to add to their squad before the transfer window closes on 1 September. 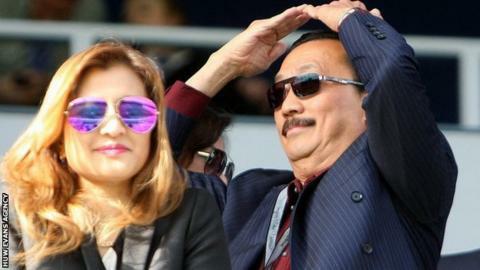 Slade spoke to and met owner Vincent Tan on the day they drew 2-2 at QPR in the Championship. Scott Malone's spectacular late equaliser left Slade feeling as if they had won. Now he hopes to strengthen his squad, saying: "It would be nice to add one or two." The former Leyton Orient boss says being undefeated in their two opening Championship games has given the Bluebirds "a real basis to go forward". He added: "We are spinning one or two plates to see if we can improve the group." And Slade says there has been no change to goalkeeper David Marshall's situation. The Scotland international has been linked with a move to West Bromwich Albion. The Cardiff boss says Marshall could "possibly" play in the Championship at Blackburn on Tuesday after being suspended for the first three games of the season. Simon Moore deputised against Fulham on the opening Championship weekend of the season, making a mistake that led to a goal. But Slade says Moore's saves against QPR ensured Cardiff were in the position that allowed Malone to level. "It was never in my mind to make a change just because he made one mistake in the first half against Fulham," said Slade. "I think he really rewarded us today and made a couple of really important saves."